Currently serves Oceanit, a leading Engineering/Research and Development Company, as the Director of Strategic Initiatives, responsible for supporting key Initiatives for the corporate business. He earned MS and PhD degrees in Mechanical Engineering from Florida Atlantic University (2003) and University of Hawaii, respectively (2006). Prior to joining Oceanit, Dr. Veedu worked at the Rensselaer Polytechnic Nanotechnology Center and at the Hawaii Nanotechnology Lab. In 2006, Dr. Veedu joined Oceanit as Senior Nanotechnology Engineer, leading Materials Science related efforts for the company. Dr. Veedu is an active researcher in the area of nanocomposite materials. His research is targeted towards developing multifunctional nanostructures and hybrid platforms for various commercial and defense applications. He has more than 25 approved/pending US patents. 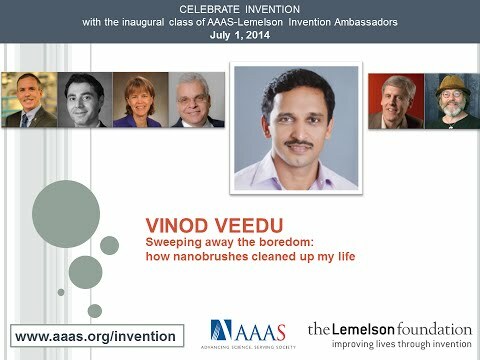 His works have received wide acceptance in the nanotechnology community. In 2007, he became part of the Guinness Book of World records for the creation of the smallest nanobrush. In 2008, Dr. Veedu began hosting his own TV show called “Weird Science with Dr. V”, on HawaiiNewsNow (a CBS/NBC affiliate channel). Dr. Veedu also serves the NASA Space Center in Houston as Technical Advisor and he also supports the Houston Technology Center as Energy Advisor. Since 2011, Dr. Veedu has been serving Rice University as an Adjunct Assistant Professor at the Mechanical Engineering and Materials Science department.